Are you living with hearing loss? If so, hearing aids can help you to improve your ability to hear and your quality of life. At Tuscaloosa ENT, we will perform a hearing evaluation to help determine if hearing aids can help you. Your hearing is too important to trust a salesperson at a hearing aid store. At Tuscaloosa ENT, each of our certified Audiologists holds a doctorate degree in Audiology. They are highly-trained and experienced in the testing, diagnosis, and treatment of hearing loss. Bringing improved hearing and better communication to our patients’ lives is our passion. While anyone can sell you a hearing aid, the medical experts at Tuscaloosa ENT take the time to test you thoroughly, answer all your questions and find a hearing solution that fits your needs, your lifestyle, and your budget. 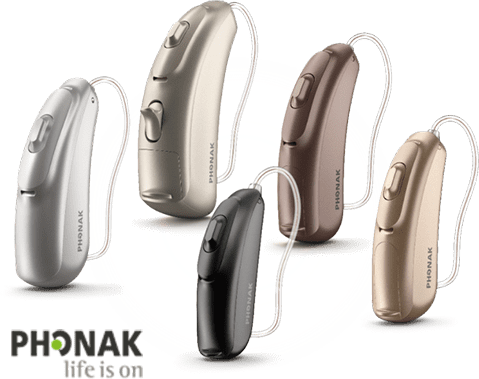 Tuscaloosa ENT offers a wide variety of styles and colors of hearing aids – from small devices that fit discreetly into your ear canal to modern, open-fit models that are almost invisible and can pair to Bluetooth devices. We will work with you to help you select the device that best suits your lifestyle and hearing loss. What’s more, our 60-day trial hearing aid program allows you to experience the latest hearing aid technology with a low risk. We also have financing available. At Tuscaloosa ENT, you get a team of professionals that is completely dedicated to your hearing health…at your first appointment and for years to come. Your relationship with us continues well beyond the initial fitting. Your follow-up care includes ongoing office visits to make certain your hearing aids are fine-tuned to provide you with the greatest possible benefit. Hearing aid cleanings, re-evaluation of your hearing, reprogramming for new listening situations and environments, and a complete line of supplies and accessories to meet your needs are all part of our dedication to you. When you trust Tuscaloosa ENT, you get the peace of mind knowing we’ll always be here to ensure that you hear as clearly as possible. Like and Follow the Audiology Facebook Page here to keep up with the latest news and expert tips on hearing loss and hearing aids. If you are located in the Tuscaloosa, AL area and are interested in learning more about hearing aids, contact our office today at 205-378-8426.